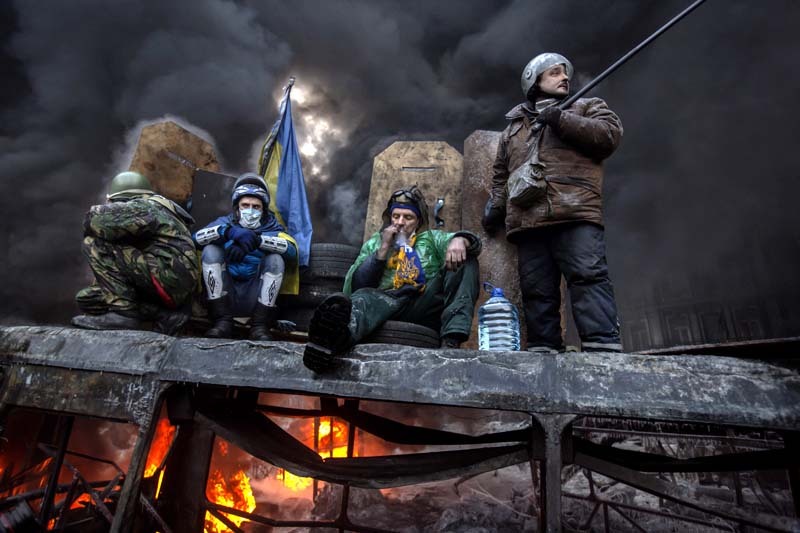 In the midst of the black smoke from tires burning, almost blocking the daylight at the frontlines – a pro-democracy activist calms his nerves with a cigarette. At any moment the feared “Berkut” riot police can attack. The unit are responsible for most of the killed in Kiev.